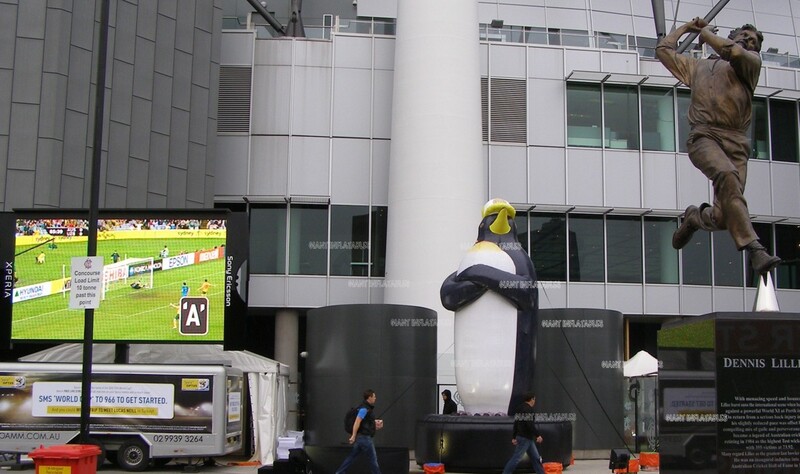 The Giant inflatables team and a giant inflatable penguin were at it once again in fine company. 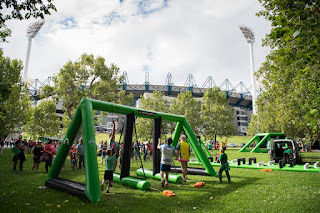 As Part of the Jack Morton Worldwide Event team, who run a optus outdoor marketing drive with a competition as part of the world cup soccer, socceroos sponsorship, the Giant Inflatable Optus penguin got a rather wet outing at the MCG. The occasion was the Socceroos sendoff game against New Zealand. The highlight was the giant inflatable optus penguin seen well above the crowd. And the Events operations team for Giant Inflatables took care of all the details to allow the Jack Morton Worldwide guys do what they know best and not have to worry about the inflatable penguin, wind or rain , the setup, the ballast the pack down or any operational. 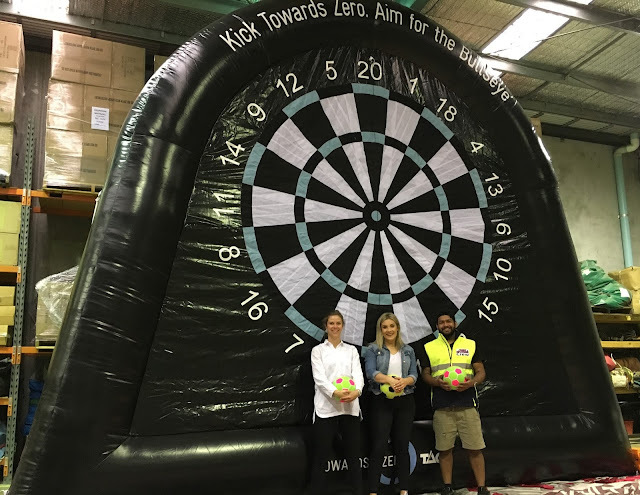 So if you need to stay focused on what you do best, a seamless event with many facets , let the Giant Inflatables team do what they do best. simply and effectively. Our well trained team will handle the entire event operation . 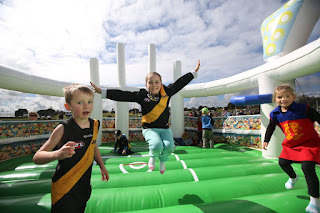 Please call us and have a chat about our inflatable event operations and you will then feel comfortable in the knowledge that giant Inflatables and their 12 years of site experience and leading giant Infalatable designs will make the difference, and the difference is what will count. You actually placed right stuff on the table. !